While the theory of why Spain has put off its request for a lifeline from the Eurozone says the authorities are reluctant to take on too-strict-to-bear strings that come attached, Germany is blocking another individual bailout, Reuters reports. "We are in favour [of a bailout] if everyone else accepts," that’s the Spanish position according to one senior European diplomat talking to the news agency. 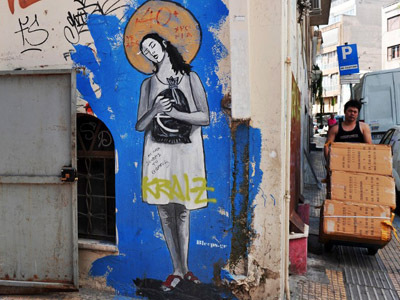 "The Spanish were a bit hesitant but now they are ready to request aid," another senior European source told Reuters. In the meantime, Germany, the so-called “big saver” of the world economy, is reluctant to offer another individual bailout, says Reuters referring to several European diplomats and a senior German source. The speculation comes amidst increasing pressure on Spain to ask for financial assistance from the eurozone if it wants the European Central Bank to act on an offer to buy its government bonds, in an effort to lower the country's borrowing costs. But Madrid is hesitant to make the move, fearing the policy conditions that might come attached, and because of possible political humiliation. It was thought Spain might ask for the financial aid after last week passing a new €40bln ($52bln) austerity package that would have pre-empted the policy conditions the eurozone might demand. However, so far“there is no request by Spain,” Olli Rehn, Europe's Commissioner for Monetary Affairs, said at a press conference in Madrid after talks with Spanish Prime Minister Mariano Rajoy and Economy Minister Luis de Guindos. 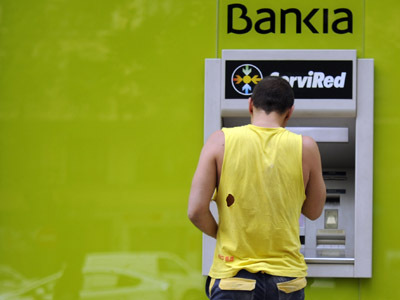 The final decision by Spain over a bailout was largely expected to be announced shortly after Friday’s stress test on the country’s banking. The tests showed seven financial institutions will need to shore up their capital by some €59.3bln ($77bln), which is considerably less than the €100bln rescue package granted some months ago by its eurozone partners. 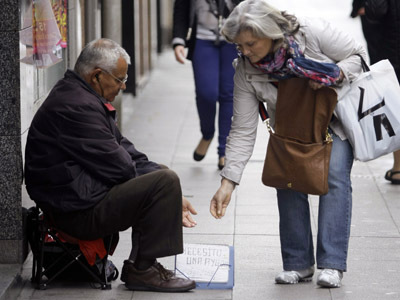 Spain said it expects banks will ask for some €40 billion in rescue loans. On Saturday Finance Minister Cristobal Montoro admitted that aiding troubled banks means Spain's deficit this year will be 7.4%, not the 6.3% the country is now targeting. He also revised last year's deficit upward from 8.9% to 9.4% for the same reasons. He said that excluding the bank aid, Spain was on target. 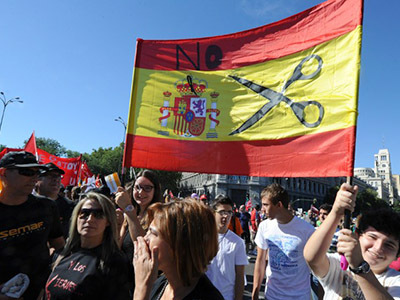 Spain, is in its second recession in three years with nearly 25% unemployment, is battling to fulfill pledges to the EU to reduce its budget deficit to 6.3% this year, 4.5% next and year and 2.8 % in 2014. At the moment Spain needs to refinance about €29bln in maturing debt, which includes €9bln in short-term paper – by the end of this month. Rumours say that Spain was ready to submit the request as soon as the coming weekend, provided Germany agrees. This means the Eurozone finance ministers could discuss the move at their next regular meeting in Luxembourg next Monday.